According to The Hollywood Reporter, Fox Searchlight has picked up an untitled project telling the true story of an elderly woman who refused to sell her Seattle home even as a mall was built around it, a story with obvious similarities to Pixar’s Up. Based on the 2013 memoir Under One Roof by Barry Martin, the story focuses on a small farmhouse that sat peacefully for 100 years as the city grew around it until a big commercial development began seeking the property in 2006. The elderly owner, Edith Macefield, turned down an offer of $1 million from the developers and became a local hero. Somehow, Macefield became friends with Martin, the superintendent of the construction project, and Martin would check on the woman daily, maybe apologizing for the noise or the YOU ARE HERE map being erected next to her mailbox. When Macefield died in 2008, she left the house to Martin in her will. The house is now owned by a nonprofit that is still trying to avoid demolition. In fact, a fundraising campaign is underway to pay for the house’s relocation to the nearby Orcas Island. Before you joke that someone should tie balloons to the chimney to hasten the house’s escape, it turns out that people have already done that, but to no avail. 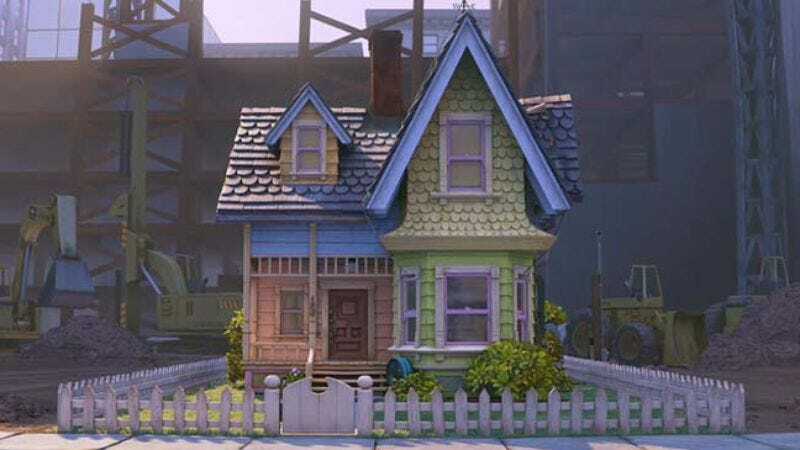 Meanwhile, Pixar has denied any connection to the house, saying that its 2009 film was in the works since 2004 and thus did not draw its inspiration from Macefield. Also, note the lack of talking dogs in this scenario. Will Gluck, the director of Easy A and Annie, is on board to produce the project. The script was written by John Whittington, who is currently staffed on Netflix and Warner Bros. TV’s Green Eggs And Ham adaptation. Whittington made waves earlier this year with his script True Fan about hated Chicago Cubs enthusiast Steve Bartman, a man whose house was likely never gifted with balloons.